Going sockless in summer seems like a great idea, and so stylish… until you consider just how many sweat glands lurk in your feet. That’s where the loafer, or ‘no show’ sock comes very much into its own. These low profile foot socks should be an essential for every man who wears espadrilles, boat shoes or loafer styles when otherwise un-socked. 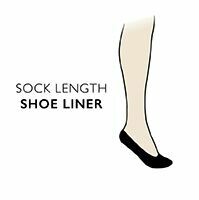 Pringle Plain Cotton Loafer Socks will ensure that your feet stay dry and fresh, because the cotton rich blend will absorb moisture and protect your feet from rubbing against the inner seams of your shoes. Pringle Plain Cotton Loafer Socks have a protected rear heel edge, anti-slip silicone heel grip and the Pringle logo woven into the upper. Supplied as a triple pack, you’ll never be short of a fresh pair to wear.